Craft Lightning is coming to a close today but I hope y’all have enjoyed all of the quick and easy holiday crafts that have been shared. You can catch up with any that you missed by heading to the round ups for day 1, day 2, day 3, and day 4. Also stay tuned, I will give y’all a massive round up tomorrow with all of the links in one convenient location. Now lets check out today’s partner blogs! The Dreamsicle Sisters are sharing a Rainbow Loom fish tail bracelet tutorial. 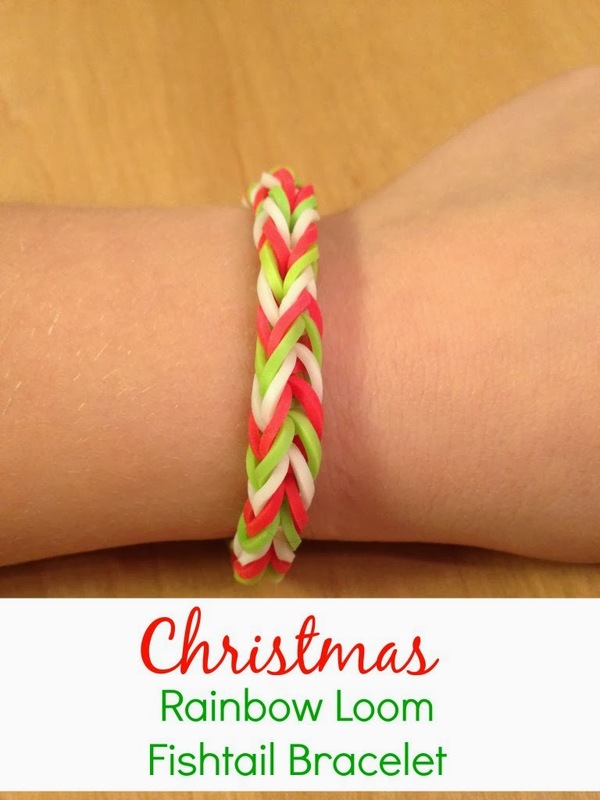 Is the Rainbow Loom on your Christmas list? Make sure to bookmark this tutorial for after the wrapping paper flies. Those Gagen Girls are at it again with the mason jar rings. 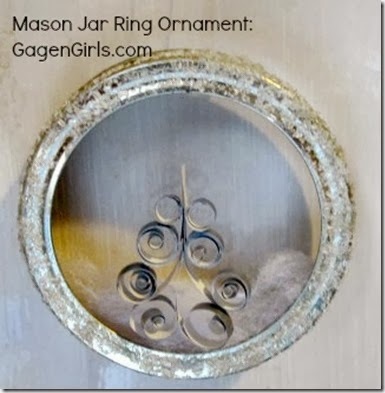 Love this mason jar ring ornament and I can think of tons of possibilities with this idea. The Buttons Galore and More blog is sharing a fun decoupage and button ornament that you don’t want to miss. 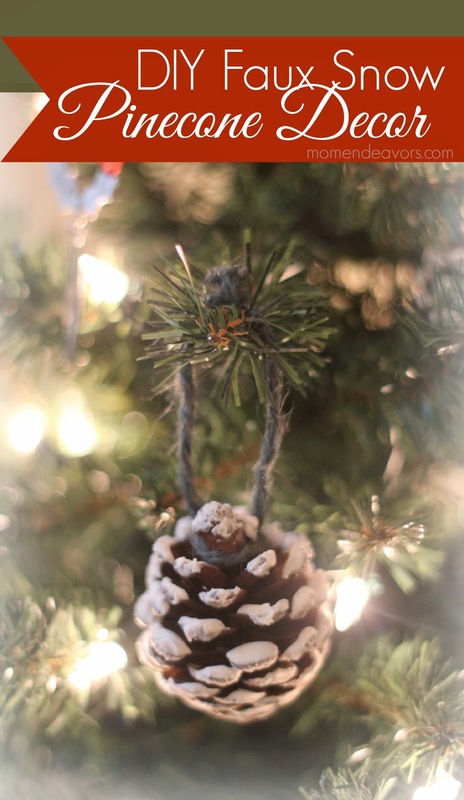 Mom Endeavors is showing you how to add faux snow to pinecones. 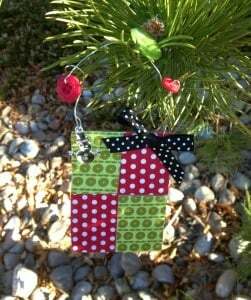 Hang these on your tree or put a bunch in a bowl. I love that these can be winter decor as well as Christmas. 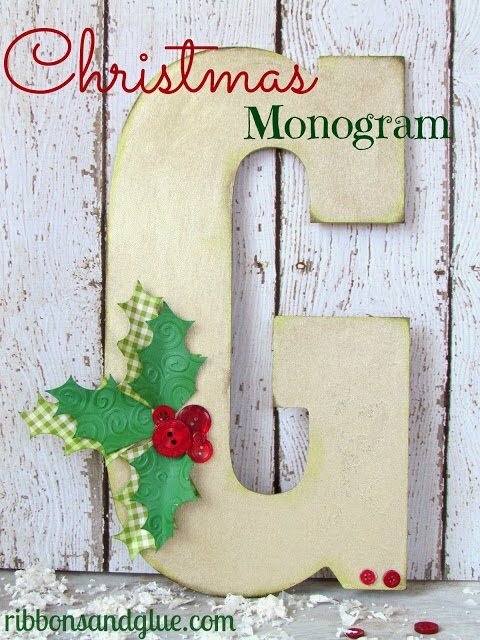 Decorate a Christmas monogram with these instructions from Ribbon and Glue. Love the buttons as holly berries! 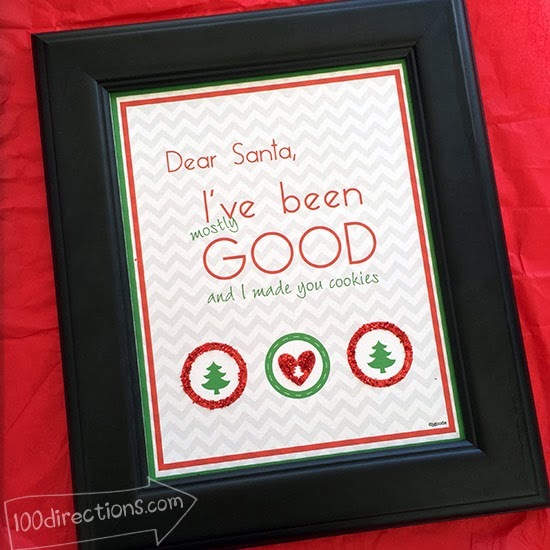 The oh so fabulous Jen Goode is sharing some free printable dear Santa art. Grab this printable to add to your holiday decor. 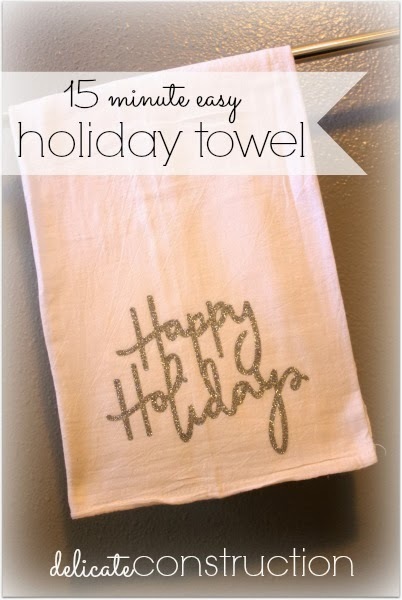 Make this super simple holiday towel from Delicate Construction in 15 minutes or less. 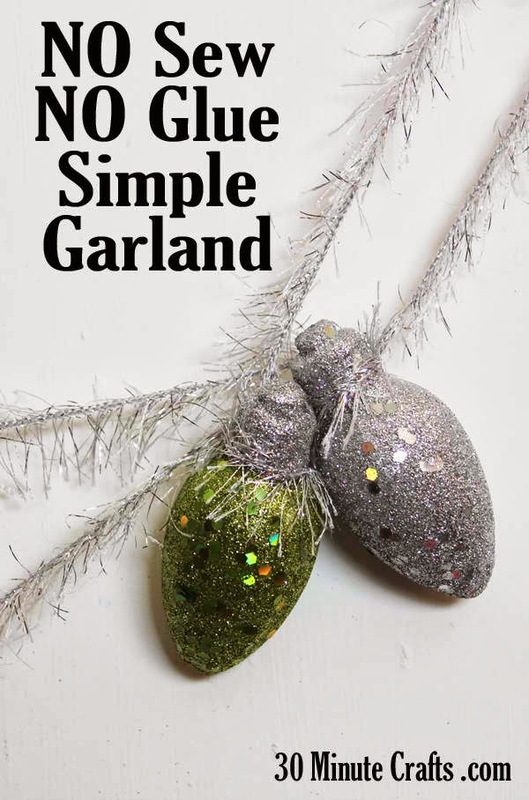 I can also see this as being a fabulous Christmas gift! 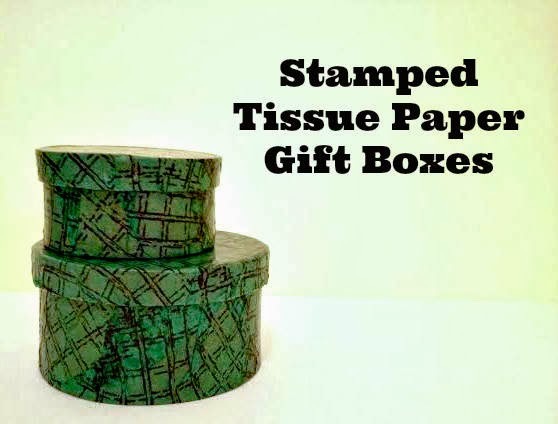 Mrs. Greene is sharing some stamped tissue paper gift boxes that are just adorable. I can see using her stamped tissue paper method for all of my gifts. 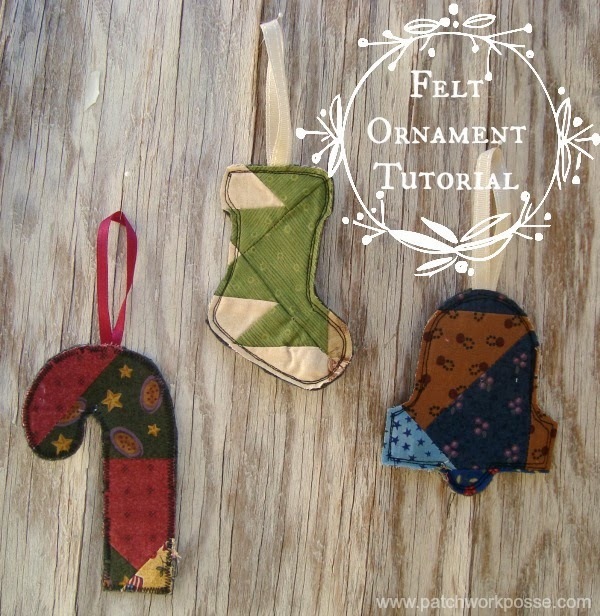 The linky party feature for today is these ca-ute felt ornaments from Patchwork Posse. I love old quilts so these are just perfect for me. 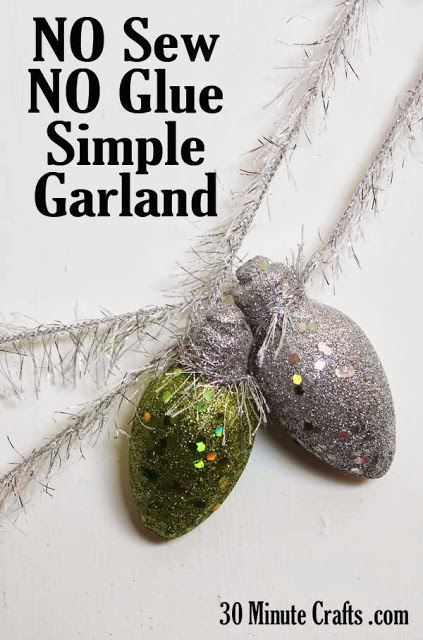 My partner for this series Carolina from 30 Minute Crafts shared a super simple no sew no glue garland. I love things that are quick, easy, and require no tools! 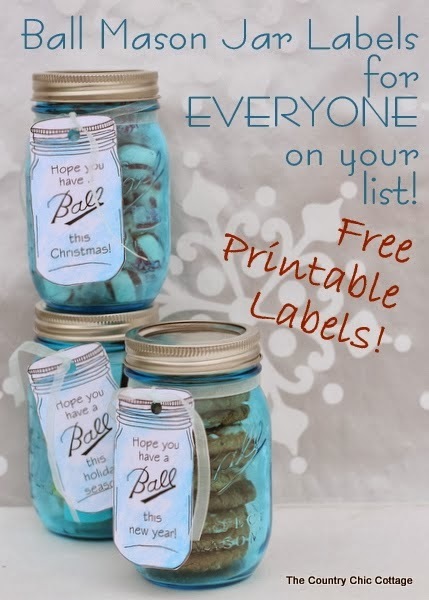 I am sharing my Ball mason jar labels for EVERYONE on your list. And I do mean EVERYONE y’all. I have been getting tons of requests for more versions of these so I jammed tons of free printable labels into this post. Use these fun labels for Christmas or anytime of the year. I hope y’all have enjoyed Craft Lightning and all of the great quick and easy holiday crafts. Come back tomorrow as I round up the entire series for you.